‘Tis the season to get your house back in order. As you un-deck your halls and put away holiday decorations, take a quick look at attic and storage spaces to make sure they are adequately insulated and not adding to your winter heating bills. According to energystar.gov, most attics should have 10 to 14 inches of insulation to improve the energy efficiency of your home. But for most homes, just adding insulation is not enough – you also need to seal the small gaps throughout attic spaces that let warm, heated air flow out. Look for gaps around plumbing pipes, light fixtures, chimneys and other areas that leak cold air, and seal them with caulk and weatherstripping. Cover windows with window insulation film to minimize heat loss through poorly sealed windows. 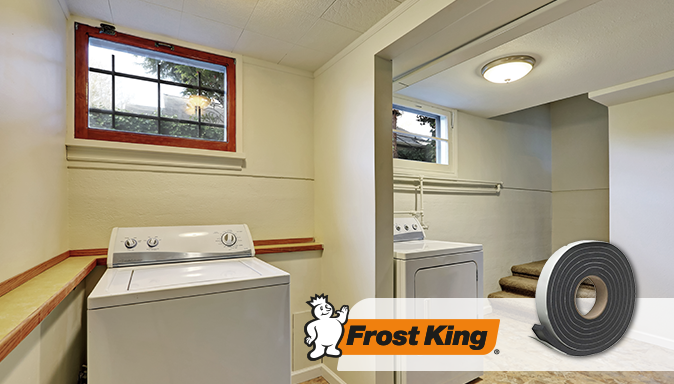 Once you are done, seal attic and crawl space entry doors and hatches with Frost King Vinyl Foam Weatherseal. Need help learning how to fill in gaps? Watch our step-by-step do-it-yourself video for easy to follow instructions.